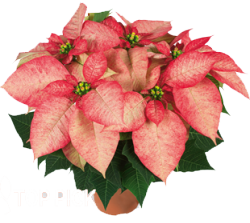 This lovely, bold colored plant signals the arrival of the holiday season! 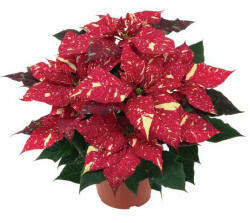 Poinsettia, the Christmas plant, is popular in many American homes. 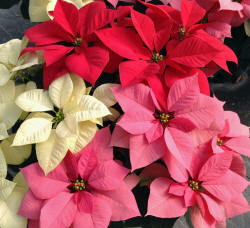 With the introduction of long-lasting cultivars, the popularity of the poinsettia has increased significantly. It was introduced to the United States in 1825 by Joel Robert Poinsett, first U. S. ambassador to Mexico who obtained plants from the wilds of southern Mexico. 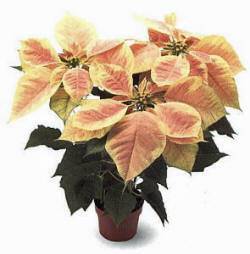 The common name for the exotic plant, poinsettia, came from his last name. Our poinsettias have been “fattened” up with lots of calcium that makes stems sturdy and thick so that they don’t droop or break. 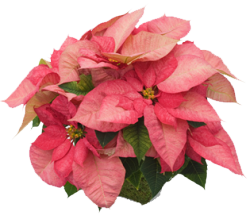 Another fact about our poinsettias is that their flower bracts were sprayed with a low concentration of a plant hormone that makes the flower bracts enlarge giving that extra edge over grocery store poinsettias. Delivery is available for a nominal fee within a 10 mile radius of the nursery. Churches – ask about our large quantity discount. Hand-tied bows are available for pots at a nominal charge. 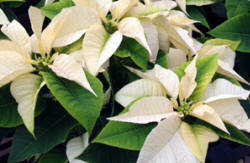 Medium light areas are best for poinsettias, but they will tolerate low light. Avoid full sun to prevent burned leaves. Selecting a place out of direct sunlight, but that is well lit, is best. Place a saucer under the plant. Water when the soil surface becomes dry. 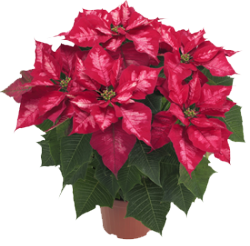 Keep at temperatures between 60-70º F.
When the poinsettia’s blooms age and lose their charisma, there’s no reason to throw it out. If you want to maintain your poinsettia beyond the Christmas season, you will need to give it some attention on a regular basis. 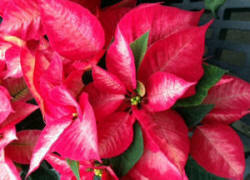 With proper care, dedication and a certain amount of luck, you too can re-bloom your poinsettia! In early April, cut the plant back to about 6 or 8 inches in height and place it outside in the shade after all chance frost has passed and night temperatures average 55 degrees or above. 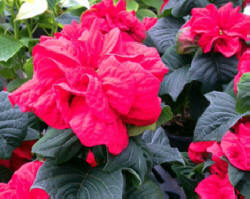 Keep the plant watered and fertilize the poinsettia every 2-3 weeks. 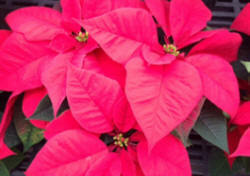 Prune your poinsettia during the summer to keep plants bushy and compact. Late June or early July is a good time for this step, but do not prune your plant later than Sept 1. Bring the plant indoors before threat of cool weather. Beginning in October, the plants should be kept in complete darkness for 14 continuous hours at night. Put it in total darkness from 5 p.m. to 8 a.m. every night, keeping the soil evenly moist and fertilize like you do your other houseplants until January. Cover the plant with a black plastic bag to prevent any light from getting in but remove the bag during the day. 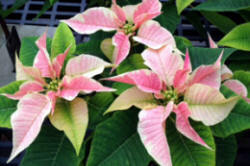 By mid-November, the bracts, the modified leaves that we all think of as the flower, should start to show color. Keep on your long-night schedule, though. 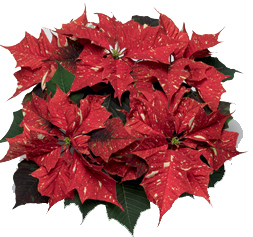 By an Act of Congress, December 12 was set aside as National Poinsettia Day. The date marks the death in 1851 of Joel Roberts Poinsett, who is credited with introducing the native Mexican plant to the United States. The purpose of this day is to enjoy the beauty of this popular holiday plant. 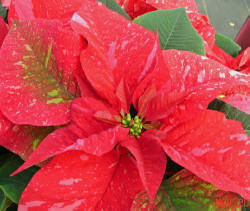 So, be sure to give someone you love a poinsettia on December 12, National Poinsettia Day.